The central nervous system consists of the brain and spinal cord. 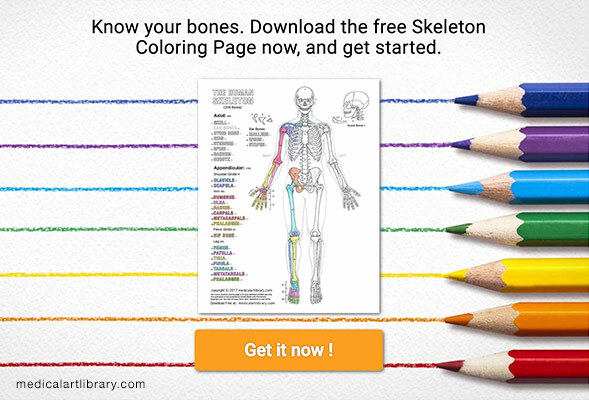 The peripheral nervous system is made up of the nerves which connect the brain and spinal cord with the rest of the body. The principal parts of the brain are the cerebrum, brainstem, diencephalon, and cerebellum. The cerebrum is made of both white matter and gray matter. The surface of the cerebrum (the cortex) is composed of a thin layer of gray matter (nerve cell bodies), underneath which are the white matter tracts (myelinated nerve cell axons). The diencephalon consists of the thalamus and hypothalamus. 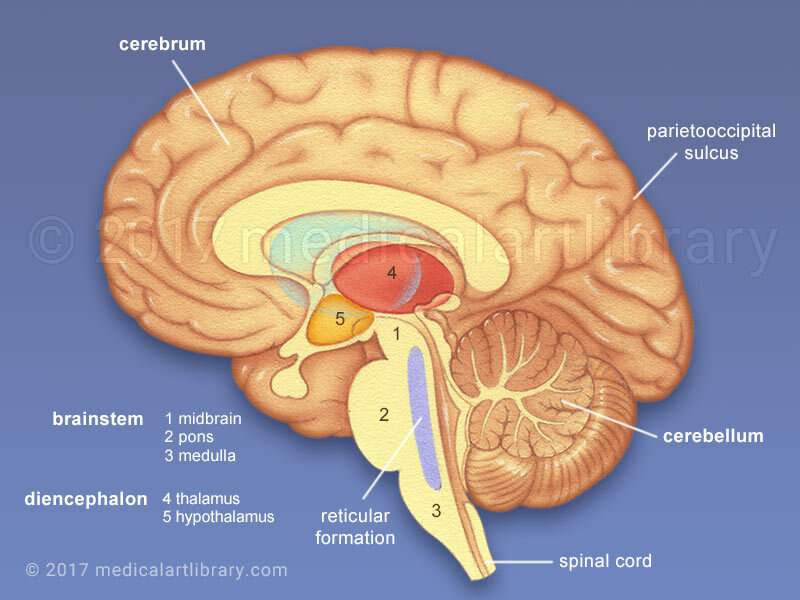 The brainstem is the lowest part of the brain just above the spinal cord. It consists of the midbrain, pons and medulla. It controls many of the basic involuntary body functions necessary for life, such as breathing, sleeping and rate of heartbeat. It is in the medulla where the left and right white matter tracts to and from the brain cross over. Nerve impulses to and from the left side of the body are processed in the right side of the brain, while right side body impulses are processed in the left. This is why an injury in the left side of the brain such as a stroke, creates symptoms (loss of sensation, paralysis) on the right side of the body. The reticular formation is a complex network of nerve cell fibers. It is involved with determining our level of wakefulness and sleep.